Comment	 The Fornax Cluster, aptly named due to its location in the constellation Fornax, is approximately 60 million light-years from Earth, and is one of the closest galaxy clusters to the Milky Way. Clusters are large groupings of galaxies that are gravitationally bound together, containing enough matter to pull other distant galaxies toward them. The image displays two broad galaxy groups, spirals and ellipticals. An example of a spiral galaxy is NGC1365 seen at the top of the image. The cluster is dominated by ellipticals such as NGC1399 of which in comparison to other galaxy types contains no presence of star formation. 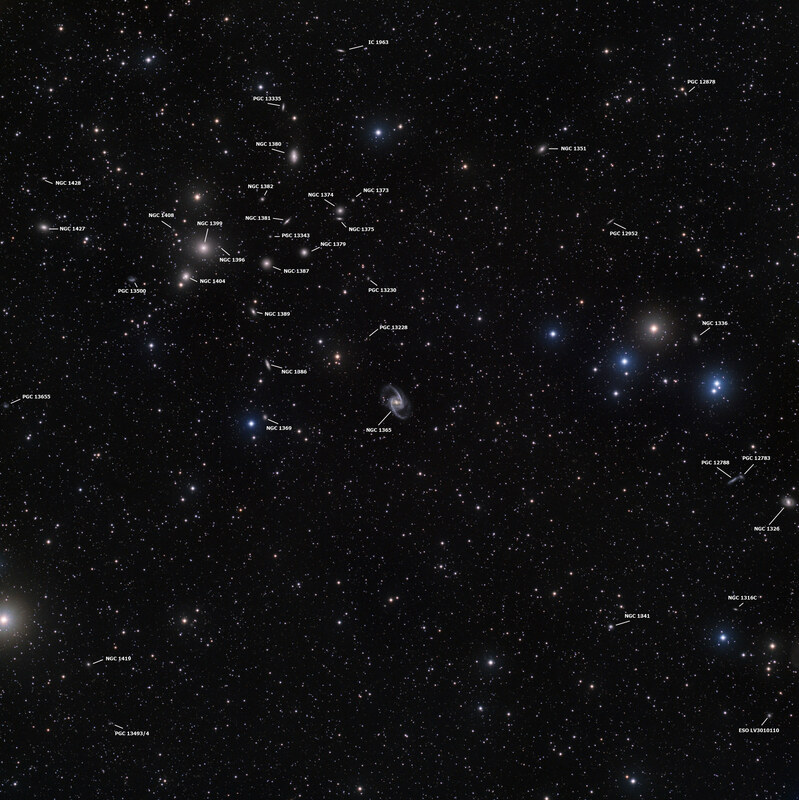 A wide field image of the entire cluster can be viewed here. An annotated version of the cluster can be viewed here. This image is a LRGB composite, 2 panel mosaic.